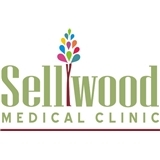 Sellwood Medical Clinic (Portland) - Book Appointment Online! Very empathetic and nurturing staff! I had such a pleasant experience at my new patient visit- which are rarely pleasant in my opinion. I faint very easily when getting blood work and the staff took care of me every step of the way - I wish I could remember her name! The physician I saw before getting my blood drawn was Merinda. Super happy I found this office! She really made is feel like she had no where else to be but with us!